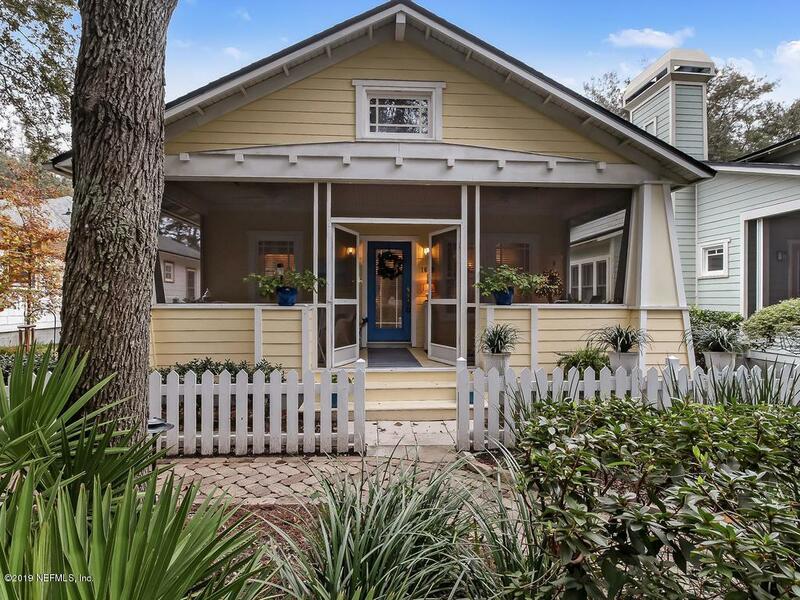 CHARMING GARDEN DISTRICT COTTAGE! 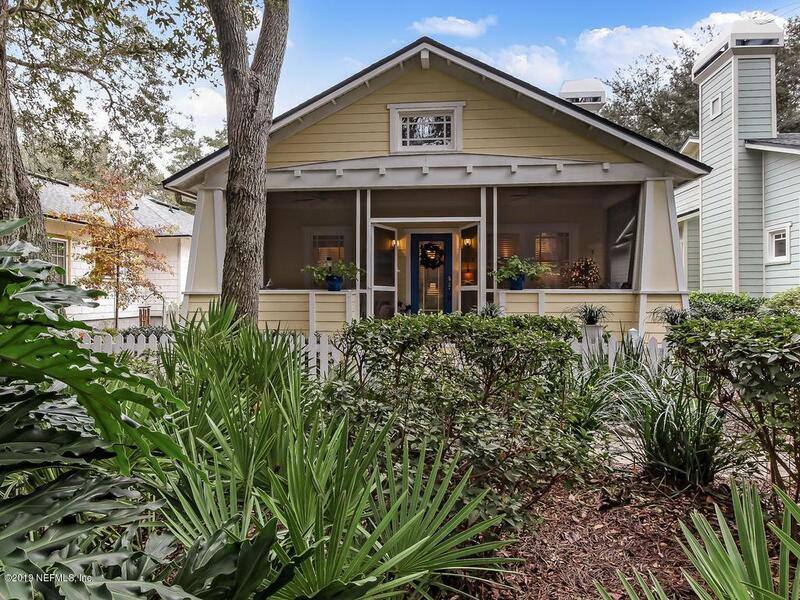 Tucked away in the well preserved Garden Walk District of Amelia Park, this charming cottage is a rare listing and a must see! 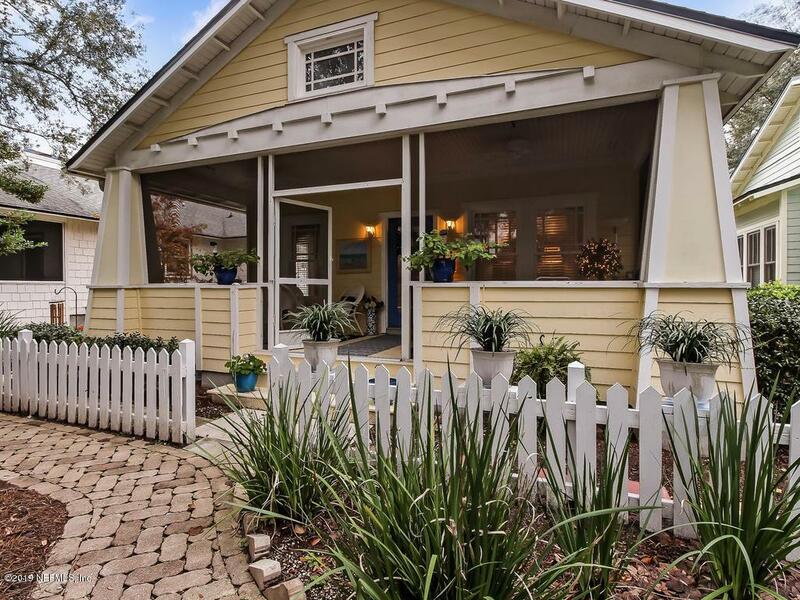 A spacious 24' screened front porch greets you from the shaded and shelled walkway - enjoy quiet afternoon reading and relaxation or a glass of wine with neighborhood friends. This ''Cape Cod'' style home welcomes you with a bright kitchen, plenty of natural light, an open great room with a fireplace and french doors that open to a cozy living room. Don't miss the inviting and private fenced brick courtyard between the cottage and detached one car garage - perfect for gardening or entertaining. 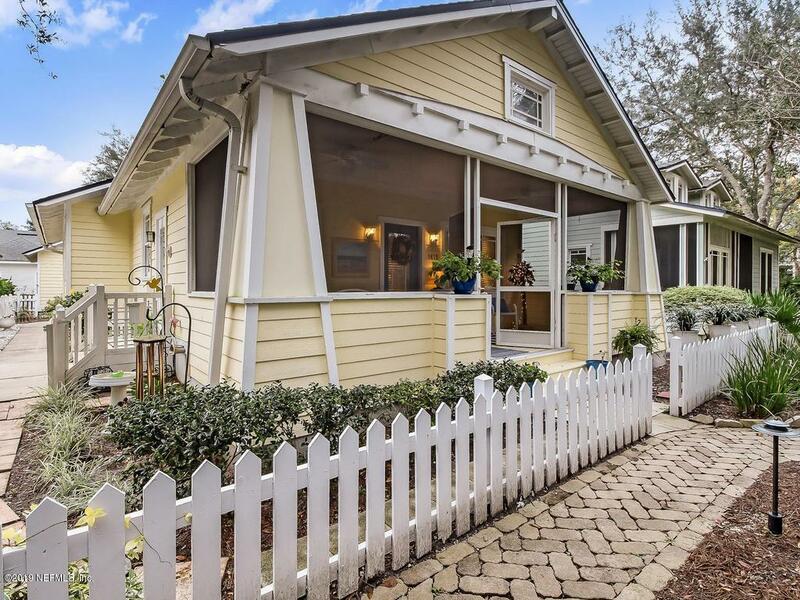 BONUS: Walking distance to the YMCA or the Community Park and just a bike ride to the beach or historic district of Fernandina Beach.